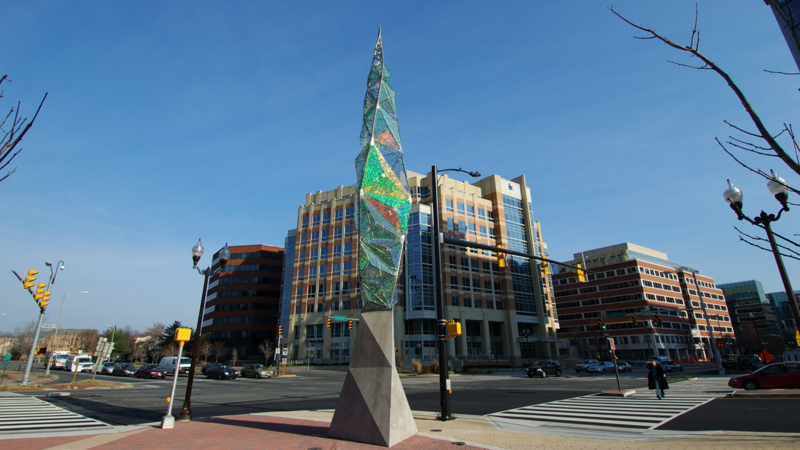 The Flame Sculpture is located at The Regent (950 North Glebe Road), a mixed-use commercial building in the thriving Ballston Market area of Arlington, VA. The sculpture consists of a 30-foot tall glass and stainless steel pipe structure on top of a 10-foot tall, angular, reinforced concrete pedestal. While the base of the sculpture bears on a traditional spread footing, the design also called for helical pile supports due to the close proximity of existing underground utilities and the adjacent below grade parking structure for The Regent.